This policy sets out how MochO Pty Ltd will handle the personal information that you may disclose to us when you use the MochO website. What types of personal information will MochO Pty Ltd collect? When you use the MochO website, MochO Pty Ltd may collect personal information such as your name, address, telephone number, email address and age. Personal information is collected when you purchase a product, subscribe to our newsletter, sign up for an account or enter a competition with us. Other methods of collecting personal information include using cookies, recording your IP address and other data collection techniques. SSL encryption will assist us to store and protect this information securely. MochO Pty Ltd use this personal information to provide you with the product you have purchased. This information enables us to communicate with you about your order, arrange delivery of this order and take payment. MochO Pty Ltd will only communicate with you by email if you have given this address to us and if you have allowed us to communicate via this method. Our courier company(s) may be given some personal information so that your purchase will arrive to your provided address. This personal information could include the delivery address, name and telephone number. If you want to gain access to any of this personal information that we hold about you, please contact us at: info@mocho.com.au. MochO Pty Ltd is bound by the National Privacy Principles. Please visit http://www.oaic.gov.au/privacy/privacy-act/national-privacy-principles for more information. When you browse our site and most importantly when you enter sensitive information (for example: your name, email address, credit card numbers) into a form on our site we secure that information with 256 Bit SSL encryption. 256 Bit SSL encryption is the industry standard encryption technology. The easiest way to tell if the information you’re entering is secure is to look at the address bar in your browser. If the URL starts with https:// then you’re on a secure page. These Terms and Conditions cannot be varied without our written consent. We may update these Terms and Conditions from time to time and the current version will always be shown on the Terms and Conditions page of our website. We encourage you to read these Terms and Conditions, and contact us if you have any particular questions. If you do not agree to these Terms and Conditions, you must not use our website in any manner. Due to colours appearing slightly different on different displays and screens, there could be a deviation between the product image and what you actually receive. This is not a fault or error and would be deemed a change of mind. You will be sent an order confirmation via email after you have placed your order and the payment has been processed. This email does not guarantee that the product(s) you have ordered is/are available. It represents confirmation that we have received your order. Your order represents an offer to purchase, which we accept when we dispatch your product(s) and send you an email confirming that your product(s) has/have been dispatched. Once this email has been sent and the goods have been handed over to the designated carrier, the contract between you and us is complete. The sale contract is therefore concluded in New South Wales, Australia. If delivery of an order will result in unacceptably high freight charges to MochO Pty Ltd, we reserve the right to contact you to request further shipping fees or to cancel an order prior to dispatch. If we cancel your order in these circumstances we will issue a full refund to you. In the unlikely event that a product is unavailable, we reserve the right to cancel your order prior to dispatch. We will contact you by email as soon as possible to let you know. You may choose to have a store credit to your account or a refund to the value of the unavailable product. We reserve the right not to accept your order in the event that we are unable to obtain authorisation for payment, where we suspect fraudulent activity, or where you do not meet the eligibility criteria set out, or otherwise contemplated, within these Terms and Conditions or our website. We reserve the right to refuse to process or refuse service to anyone at any time at our sole discretion. Industry standard encryption is used on our website, so your personal information is secure throughout the payment process. Your credit card or bank information will not be permanently stored. We will not be liable for any damages or losses (whether direct or indirect) caused if a customer’s card is used fraudulently. We will endeavour to despatch your purchase within 24 business hours. We will send an email informing you when your item has been despatched and if any delays are anticipated. We deliver most products Australia-wide. We are able to accept orders for international delivery however, courier costs are at your expense, contact info@mocho.com.au for information. Ensure your delivery address is correct as, if the package is returned due to incorrect address, you will be billed for the additional courier costs. You agree to this by placing an order with us, we reserve the right to pass on applicable charges to you if you provide wrong address information. If you do need to return the item(s) purchased (change of mind, wrong size) you need to understand the steps below in order to arrange a refund or exchange. You will pay postage. This contact must be made within 3 days of receipt of goods. The item(s) need to be received by MochO Pty Ltd to be eligible for refund or exchange within 14 days of this contact. The item(s) also need to be in the original packaging, unwashed, unused and have the swing tag attached. Goods must be able to be deemed resaleable by MochO Pty Ltd.
MochO Pty Ltd does not offer refunds on goods that have been evidenced as “delivered” by our courier company, yet the customer (you) declares they have not been delivered. In the event of an item arriving and the packaging, or the item itself is damaged, then you need to take photos or a video showing said damage, refuse to accept the delivery and contact us immediately. If you notice that an item is damaged after it has been delivered to you, please take photos or video clearly showing the damage and contact us as soon as possible, ideally within 3 business days of receiving your delivery. If we require you to return the damaged product to us, we will pay the cost of the return. In the event of an incorrect item being couriered to you contact us as soon as possible, ideally within 3 business days of receiving your delivery. We will offer to send you the correct item and arrange for the pick up and return of the incorrectly shipped item at no cost to you. MochO Pty Ltd warrants all goods to be free from defects in materials and workmanship, and of acceptable quality and durability for the purpose for which they are designed. Warranties and guarantees are provided in accordance with Australian Consumer Law. You may cancel an order, or part thereof, only before it has been dispatched to you, in this case you will receive a store credit voucher or refund in the amount you paid for the product, including shipping. As we endeavour to send your order to you as soon as possible, which often will be within 24 hours, requests for cancellations need to be lodged as soon as practicable after ordering. Once items have shipped, you cannot cancel them. The item(s) you purchase come with guarantees that cannot be excluded under the Australian Consumer Law. If your product is faulty, broken or otherwise non-compliant with a consumer guarantee under the Australian Consumer Law please contact us as soon as possible with your name and order number. Any liability for any direct, indirect or consequential loss or damage incurred by any user in connection with our website, products or services or in connection with the use, inability to use, or results of the use of our website, any websites linked to it and any materials posted on it, including, without limitation any liability for loss of income or revenue, loss or interruption of business, loss of profits or contracts, loss of anticipated savings, loss of data, loss of goodwill, wasted management or office time and for any other loss or damage of any kind, however arising and whether caused by tort (including negligence), breach of contract or otherwise, even if foreseeable. Without limitation to the foregoing, you agree that in no event shall our maximum aggregate liability exceed the amount paid by you for the products in question. You agree to indemnify us, our directors, employees and representatives from and against all actions, claims, suits, demands, damages, liabilities or costs (including legal costs) arising from, or which is directly or indirectly related to the use of our website, or any other products or services accessed via our website. We are the owner or the licensee of all intellectual property rights (including, without limitation, trademarks and copyright) in our website, and in the material published on it (including, without limitation, its look and feel, brands, logos and trademarks, information, graphics, photographs, content, images, sounds, video, audio, text, layout, logos, button icons and the compilation and organisation thereof, and all intellectual property rights contained therein). Those works are protected by intellectual property laws around the world. All such rights are reserved. You must not scrape or modify the paper or digital copies of any materials you have printed off, downloaded or extracted in any way, and you must not use any content separately from any accompanying text. Our status (and that of any identified contributors) as the authors of material on our website must always be acknowledged. You must not use any part of the materials on our website, services or e-commerce facilities for commercial purposes without obtaining a licence to do so from us or our licensors. If you print off, copy or download any part of our website in breach of these Terms and Conditions, your right to use our website will cease immediately and you must, at our option, return or destroy any copies of the materials you have made. You are not permitted to copy, publish or use any of the content in any way, whether personal or commercial, without our prior written permission. You must not misuse our website by knowingly introducing viruses, trojans or other material which is malicious or technologically harmful. You must not attempt to gain unauthorised access to our website, the server on which our website is stored or any server, computer or database connected to our website. Whilst we do our best to ensure that our website is virus-free, you acknowledge that the Internet and e-commerce facilities may attract unknown contingencies out of our control. Accordingly, we will not be liable for any loss or damage caused by a virus, system failures or other technologically harmful material that may infect your computer equipment, computer programs, data or other proprietary material due to your use of our website or to your downloading of any material posted on it, or on any website linked to it. We always recommend all Internet users ensure they have up to date virus checking software installed. You consent to receive communication from us electronically, either by email or by us posting notices on our website and you agree that all communications that we provide to you electronically will satisfy any legal requirement that a communication be in writing. We shall not be responsible for any delay, suspension or failure arising out of any circumstances outside of our reasonable control, including but not limited to, acts of God, governmental actions, shipping, postal or other relevant transport strike, postal theft, failure or accident, lockouts or other labour difficulty, war or national emergency, acts of terrorism, fire, explosion, flood, an act or omission of a third party, inability to obtain any necessary materials, equipment, facilities or services, the failure of performance provided by others, interruption of the internet or a website (such as Facebook) or virus, accidents or breakdown of plant, machinery, software, hardware or communication network. We may revise these Terms and Conditions at any time by amending this page. You are expected to check this page from time to time to take notice of any changes we made, as they are binding on you. Some of the provisions contained in these Terms and Conditions may also be superseded by provisions or notices published elsewhere on our website. Any changes are effective immediately upon posting to our website. Your continued use of our website thereafter constitutes your agreement to all such changed Terms and Conditions. Please read these Terms and Conditions before placing an order online and check back often. If you do not agree to any change, then you must immediately stop using our website. No agency, partnership, joint venture, employee-employer or franchisor-franchisee relationship is intended or created between you and us by these Terms and Conditions. If any provision in these Terms and Conditions is found to be invalid or unenforceable by a court of law, such invalidity or unenforceability will not affect the remainder of these Terms and Conditions which will continue in full force and effect. © 2017 Mocho, All Rights Reserved. Join our Après Aqua tribe. Find your MochO. Sign up now to receive 10% off your first purchase. 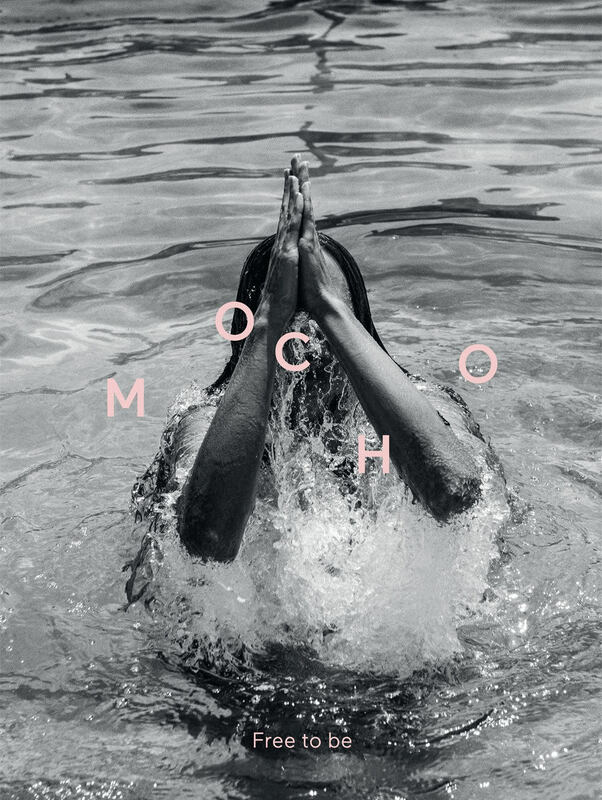 Use the code MochOtribe at checkout and enjoy your MochO Après Aqua experience.